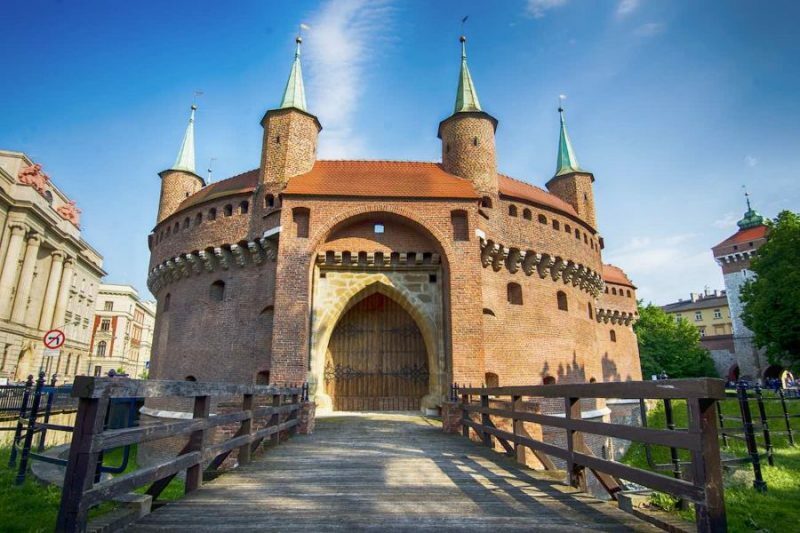 As you’re planing to visit Krakow maybe you’d want to learn a bit about Polish History? It won’t be boring – I promise – as it contains lots of images and interesting facts we all love when studying anything difficult. 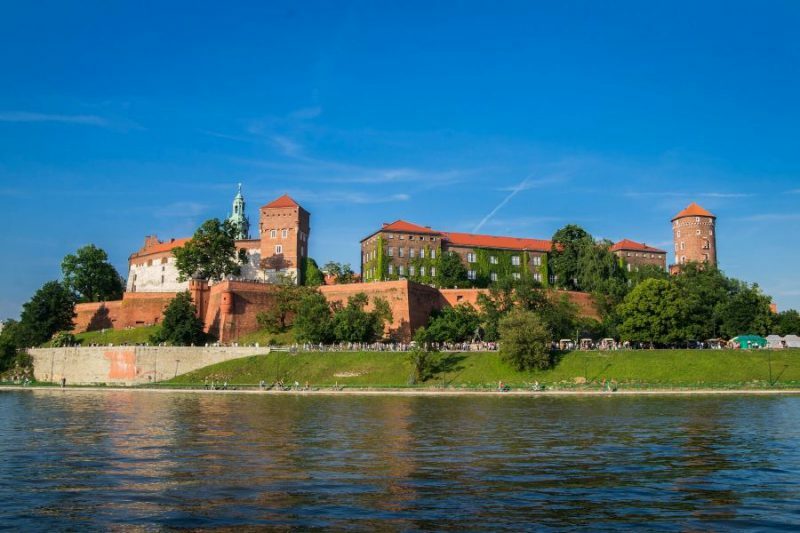 Poland – and Krakow due to times when it was the capital city from 1038 to 1596 – definitely has had rich history. Even if you don’t fancy history lessons, you’ll probably spend majority of your time in Krakow within Old Town where many stones remember Medieval times. Polish Kings And Queens Lived Here! for your free one-month trial and to show your support for the channel, stick around to find out more. Lech, Czech, and Rus: the three legendary patriarchs of the Slavic peoples. Allowed on a hunting trip the brothers had a disagreement, as brothers do, on which prey to follow, leading them to split up. Rus, the youngest, went east and became the founder of Russia, and Lech, in the middle founded Poland, because who cares about consistency? breathtaking against the red sky. blazoned against the red sky their flag. civilization that emerged as remnants of the early Indo-European peoples who had migrated out of the Caucasus. From their homeland in Central Europe they began to expand and migrate in response to the weakening of the Roman Empire. The Poles loved their new home, which they shared with Germanic tribes from Scandinavia and the occasional Asian nomadic raiders. The Slavs of Poland were organized into smaller tribes living in and around the Baltic Sea and the Vistula river delta. This was a good gig to have since the tribe eventually became the name of the whole country: Poland. Mieszko was a member of the noble house of Piast; his dynasty would rule Poland for centuries. With his baptism in 966 A.D., the country slowly abandoned traditional Slavic paganism and adopted western Christianity. but, alas, it was a bit too early for that still. consolidation of power led him to be crowned Poland’s first official king, and then he died, all in the same year. The Piast dynasty was somewhat up and down and internal conflicts often plagued the royal court. Till this guy, Casimir the Restorer, restored the monarchy’s control, which, come to think of it, is probably why they called him “the Restorer”? castles. This helped to secure the borders, which up until now had changed depending on who was king. The early kingdom, somewhat weaker than his neighbours and strapped for cash, did however hold the Mongol invasion into Europe, having been sacked twice before. By the time Piast rule ended with Casimir the Great, Poland had lost much of its territory to its neighbours. But, with a period of peace, the state soon began to prosper and attract Jewish settlement. The counties in this area became a source of contention between the kings of Poland and the Holy Roman Empire. Who fought over the local lords for fealty and allegiance. This resulted in these counties being very mixed, with populations of people from both kingdoms; the whole thing was very unbohemian, really. The Jews first settled in Poland as merchants on popular trade routes. By this century the Jewish people had settled in great numbers over many kingdoms in Europe and began their long and very sad history. They were expelled by the masses in all the countries they settled in and were often victims of massacres, and worse, crusades. which was a comparatively more tolerant society, which became a centre of Judaic learning and culture as the centuries continued. However, things weren’t always super peachy and anti-Jewish riots often erupted in Polish towns, and synagogues were frequently burned. King Casimir the Great, dying without an heir, left his kingdom to his nephew Lewis, the king of Hungary. but inherited Hungary instead, and the last one, Jadwiga, who got Poland. Yes, king, not queen. Don’t ask. Jogaila, whose Kingdom was huge and powerful, and the Habsburg duke of Austria, who was inbred… and fat. I think she made the right choice. which is now the largest country in Europe under a single monarchy. The Lithuanians had become a strong military power in the previous century, capturing large amounts of Russian and Mongol land. The now combined countries spread from the Baltic to the Black Sea. The Lithuanians, with their far smaller population, never ventured too far from their castles–why would you?–and preferred to rule Ruthenia from Livonia instead. leading raids, crusades, and plundering castles, or otherwise stumbling drunk into Polish-Lithuanian territory, starting fires and whatnot. handing the Knights a crushing defeat of the Battle of Grunwald in 1410; they also fought numerous wars with the Muscovites, Tatars, and Ottomans. who set up sophisticated bureaucracy for king approval (or disapproval, if you are unlucky). becoming a fief to the Polish Crown. This gave access of Poland to the prosperous Baltic seaports and an explosion in trade (keep your eye on this it becomes important later). just a small fishing village. Legend has it that a fisherman named Wars happened upon a mermaid in the Vistula river named Sawa. The two married and founded the town of Warszawa. (which I’m sure I’ll mobbed and lynched if I don’t talk about…). disciplined heavy cavalry the Middle Ages had ever known and are still a matter of intense national symbolism of Poland. who had become a larger and larger problem for the European powers since their humble beginnings in Central Asia. succession crisis, or the Time of Troubles, and began flexing their muscles with their famous hussars. They even occupied Moscow for a short period but were soon driven out, because invading Russia is simply impossible, unless you are the Mongols. The series of Northern Wars and the Russo-Polish war left the Commonwealth in a very precarious and weakened state. This was aggravated by the election of Polish kings, which opened the door for other nations to meddle in Polish affairs. Swedish Deluge, leaving much of the nation in ruins. ineffective due to complicated veto laws which made passing reforms or mounting resistance to invasion nothing if not impossible. 1764 as a puppet of the Russian Empire, aided greatly by the fact that he was in bed with Catherine the Great. dividing the outlying provinces between Austria, Prussia, and Russia. In dire straits, the parliament was powerless to stop the invading troops and forced to ratify the new borders. anti-constitutional forces became embroiled in a war and Russian forces invaded to broker a defeat to the republican movement. reducing Poland to one-third its size and population. The king was horrifically unpopular, the army was in shambles, the parliament was divided and powerless. The common people were furious and insurrections led to the national rebellion led by the military veteran Tadeusz Kościuszko. After an initial success, the rebels failed to garner support from many other nations and were defeated by the surrounding powers. In 1795, the Austrians, Prussians and Russians decided to put an end to the rebellious Poles and invaded them from three sides. The Third Partition of Poland, as it became known, wiped Poland off the face of the map for the next century. isolated from one another; and Poland ceased to exist. Now as you all know if you’ve ever picked up a map Poland did indeed return as a sovereign nation. But we will have to get to all of that in part two. In the meantime, if you’re interested in learning more, why not head over to the Great Courses Plus? University professors to National Geographic on a wide range of Topics. I personally recommend having a watch of “The Great Crime of Empires: Poland Divided”, which is part of the course on the history of Eastern Europe. This entry was posted in Ideas, Krakow. Bookmark the permalink.